These instructions are intended for the intermediate or advanced weaver. The weave can be tricky!! 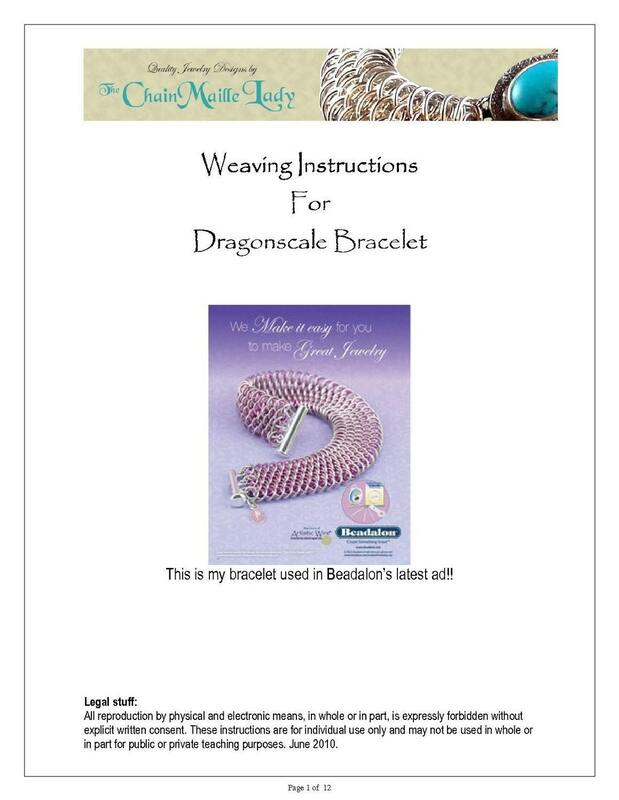 This listing is for the PDF Instructions on how to weave the gorgeous Dragonscale chainmaille bracelet. You will get a PDF file containing full color step by step instructions and a supplies list for the Dragonscale chainmaille bracelet. Can't wait to get the supplies I need an make it ... thank you ..